A new genre in Children's literature: The first book in a series of children's books for the traveler. A book that can be read by either child or parent, or both together. A book that is informative, entertaining, and educational. Literature for Parent and child, the reader is taught a little Italian, art, art history, history, science, and social studies through story telling. The reader can use this book as a precursor for a trip to Florence, Italy, and it can be used during the visit as interactive material. 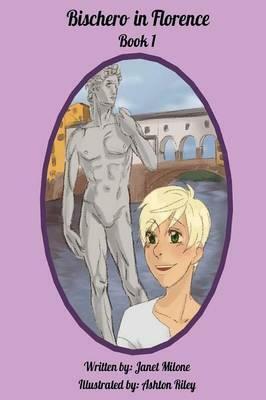 The reader can also take a trip to Florence, and never leave the comfort of their own home. The Did You Know section provides the reader with facts and dates about historical characters; Artwork and Where to Find It: ten works of art are listed, where to find them, and a check box to mark when found; Author's Trivia: a thumbnail sketch on how the author wrote the book, so that the reader can scribe their own experiences and write their own story; Cross Word Puzzle: reinforces knowledge to promote long term memory; Color Me Pages: nine sketches from the original artwork to be colored-in by the reader.